Our standard course covers all you need to know about the basics and details required to make and understand good surface finish measurements and analyses. Practical courses covering the complete spectrum of this important quality tool suitable for all levels of Inspector, Quality Managers and Design Staff. 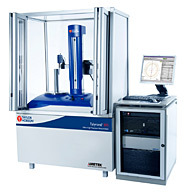 As with all precision machines and instruments, the best results and most cost effective utilisation comes when the operator or user is well trained and has an understanding and interest in the subject. 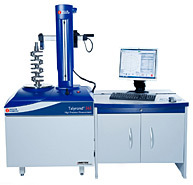 Our trainers are well versed in the practical day to day problems of quality control in this metrology area and give second to none assistance and knowledge transfer. Standard open courses and bespoke courses available to user requirements and are applicable to all levels of staff working or interested in this field. These courses are specifically aimed at users, managers and designers who are seeking a practical, 'hands on' knowledge of the subject from the experienced user's perspective. 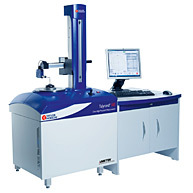 Taking place at our Centre of Excellence in Leicester, England, the courses are being given by the Centre's Metrology Engineers – experts who have many years experience in solving real measurement problems. 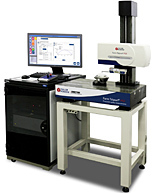 Our engineers have access to the latest measurement technology and surface finish roundness instruments. We invite all attendees to bring their measurement problems along for discussion during the 'hands on' sessions which form part of the courses. For any solutions that we can't identify at the time, we can arrange for a measurement report at a later date. Why do we need to measure Surface Finish? 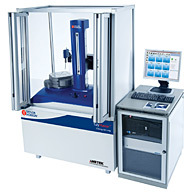 Identifying the reasons for surface finish measurement. 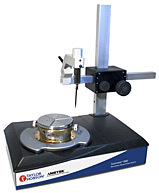 Explanation & discussion of different types of contact & non-contact measurement methods. 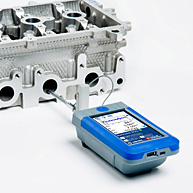 Examination of the different types of measurement datums used in instrumentation. Discussion of stylus tip geometry and stylus effects on measurements. What are Form, Waviness and Roughness? Methods of filtering, different filter types and their effects on analysis. Parameter types, definitions and common applications. Derivation of the MR Curve, its uses and associated parameters. How are the Rk parameters derived? What are they used for? 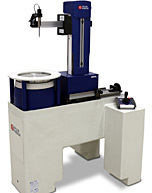 Measurement and analysis techniques for Straightness and Radius – Form Errors. 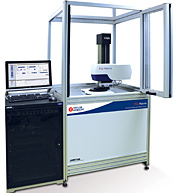 Various methods of instrument calibration – Which is best? How to specify and interpret surface finish on a technical drawing. Basic Introduction to Conics and Aspherics. What are Conics and Aspherics? 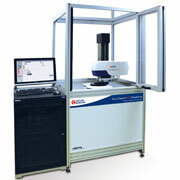 3D Measurement methods, analysis and parameters. 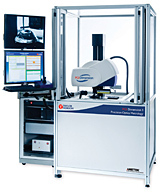 Taking place at our Centre of Excellence in Leicester, England, the courses are being given bythe Centre's Metrology Engineers - experts who have many years experience in solving real measurement problems. 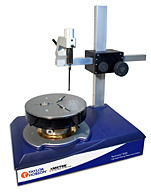 Our engineers have access to the latest measurement technology and surface finish roundness instruments. 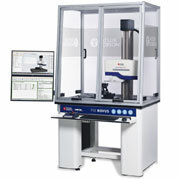 Looking at different in measurement techniques and types of roundness instrument. What are reference circles? How are they calculated? Which should we use? What are they? How are they calculated? Filters and their effects. How to relate the harmonic content back to the profile. How is flatness measurement assessed? How does this relate to Squareness and Run-out? Measurement and analysis of straightness. Explanation of the effects of magnification and how to prevent misinterpretation of graphs. Cosine errors, stylus force, asperities etc. What do we mean by data points? What is their relevance to the integrity of results? Techniques for hole, hill and asperity removal. How to hold the part, prevention of movement during measurement without distortion. 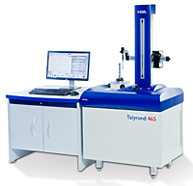 Instrument axes requirements for measuring cylindricity. What are reference cylinders? How are they calculated? Discussion on the various cylindricity parameters including Parallelism, Co-axiality, and Total Run-Out. Technique How to measure a cylinder - do's and don'ts! What is slope analysis and DFTC? Where is it used? Error separation - What does this do? 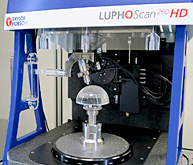 Enhancing results by measurement technique for roundness, straightness and cylindricity. Taylor Hobson are also able to schedule One Day courses on request, when individual institutions have specific requirements. Group discounts are available upon request. All courses include a notes folder, Taylor Hobson's Surface Finish or Roundness Guides, Course Content CD with PowerPoint Presentations as used in the Training sessions and a light buffet lunch. Courses run from 9am until 4pm with 30 minutes for lunch and two 20 minute coffee breaks. These courses are held in the lecture theatre at Taylor Hobson's headquarters in Leicester. Taylor Hobson subsidiaries also offer training courses - see local websites or contact your local representative for full details. Are you getting the most from your Taylor Hobson instrument? 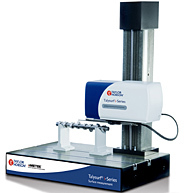 Do you need more information on data sampling, applying filters or maybe the correct use of parameters? Taylor Hobson's team of experts run regular courses on individual instruments which are tailored to help you get the maximum from their instrument. Due to detail, these courses have a maximum class size of three people. To get the most out of these courses, you are invited to bring along components that you need to measure.